Fantastic hook for emergers, pupa, and general purpose nymphs. Details below. 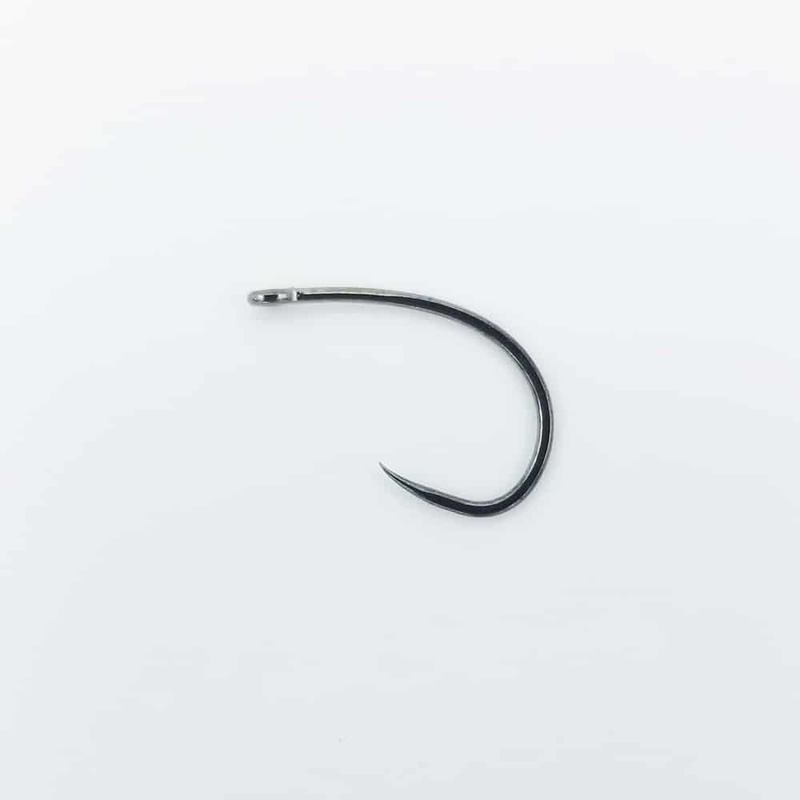 This is a standard length hook with a 2X gape. It has a straight eye and is formed from a medium weight wire. It is available in sizes #6 to #22. These hooks are awesome! Strong, sharp, and a great shape for curved nymphs and Japanese style wet flies. These are much better than the hooks I usually get and at a comperable price per hook. The quality is very consistent among all the boxes I purchased. My favorite hooks for midge larva and small emergers. Love that they come in size 20, wide gap and barbless.